Forman Holt specializes in sophisticated corporate bankruptcy cases assisting both debtors and creditors through three key practice areas: trustee & fiduciary, debtor representation and bankruptcy litigation. Additionally, we offer customized state court insolvency services and have broad strengths in all areas of business law including traditional commercial litigation. Forman Holt is one of the top boutique-sized insolvency law firms in the United States. Our attorneys have the depth of experience and the dedication to help our clients succeed, whether they are confronted with sophisticated bankruptcies, complex litigation or the routine issues that challenge many businesses and individuals. 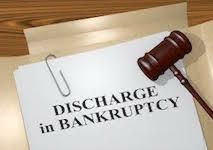 Our litigators successfully handle all types of bankruptcy, commercial, civil and criminal cases in courts of all jurisdictions. The Firm brings expertise and integrity to the unique challenges of the legal system. We’re here to serve you. Contact us for information or read more about our Practice Areas.